Google Video Viewer enables you to search a growing archive of televised content; everything from sports to dinosaur documentaries to news shows. Just type in your search term (for instance, ipod or Napa Valley) or do a more advanced search (for instance, title:nightline) and Google Video will search the closed captioning and text descriptions of all the videos in our archive for relevant results. Click on a video title on your results page and you can view still images from the video and, where a transcript is available, short snippets of transcript text. 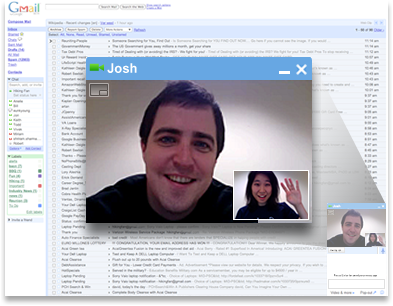 Google Video chat gets integrated in your Gmail account and once the software is downloaded and installed you can do Video Chat with your contacts right from within the Gmail Account. Google Chrome Portable – Web browser Google Chrome Portable is a web browser that runs web pages and applications with lightning speed. It's designed to be simple and stylish.